The Massachusetts Hockey Annual Guide for 2016-17 is now available. 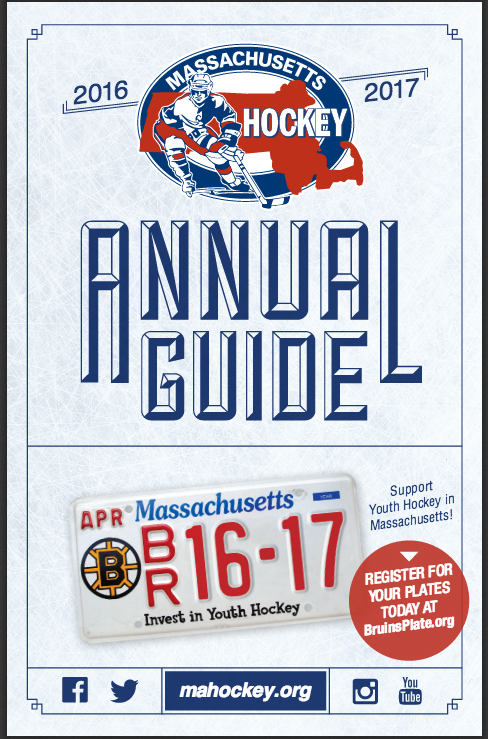 Please follow the following link for the Mass Hockey Annual Guide 2016-2017 for quick reference. This booklet is an important reference that everybody should become familiar with to ensure we are compliant withe the guidelines and rules of MA Hockey. Thank you for all that you do to make our program so successful!